With Schematica Mod 1.12.2/1.11.2 you’re able to display a ghost image of a schematic file inside Minecraft to rebuild a structure or export any part of your world (or a server’s world) into a schematic file. You’re able to export parts of your world, too. This mod allows you to display a hologram, loaded from a schematic file, for easier rebuilding. You can also save your creations to schematic files and share them. Server owners might want to disable particular functionalities of a mod. To do so, send the code(s) you wish to the players in the MOTD (must be in the first 10 lines!). The mod is primarily controlled with 3 GUI’s, accessed via the NUM_/ (load), NUM_* (save) and NUM_- (navigate loaded schematic) keys. You can change these to anything you want. 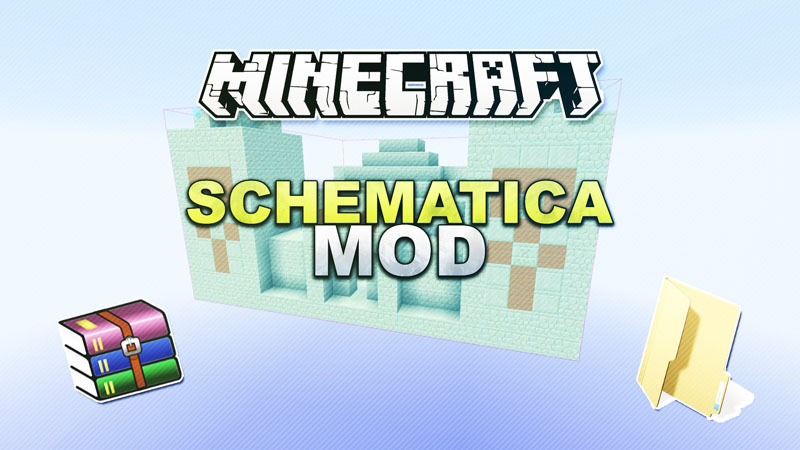 After the initial run the mod will create a schematics folder in your .minecraft folder. Put your schematic files into that folder and launch Minecraft. You are now able to load the schematics into your world using the load key and manipulate them with the manipulate key. Additional you can export parts of your map by using the save key. With the help of this GUI you select 2 points in your world and click enable (you can enable is before, but the default position is at 0,0,0 for both points). When you’re happy with the selected area just click write down the name into the textbox and click save. Before enabling the printer make sure you have the required materials on your hotbar. It’s a vanilla restriction that can’t be bypassed with a client only mod. Once the printer is enabled and you have the correct blocks in your hotbar just walk around and the mod should start placing blocks around you. Notes: The mods was made with legit players in mind. Things such as the import of a schematic into a world might be released as a separate mod that extends all the currently available functions. That particular mod will allow you to sync multiple schematics but only one can be visible at any given time for a specific player. Basically, any amount of schematics on a server but only one can be seen by a player (that’s the player’s choice). Make sure you have already installed Minecraft Forge and LunatriusCore.